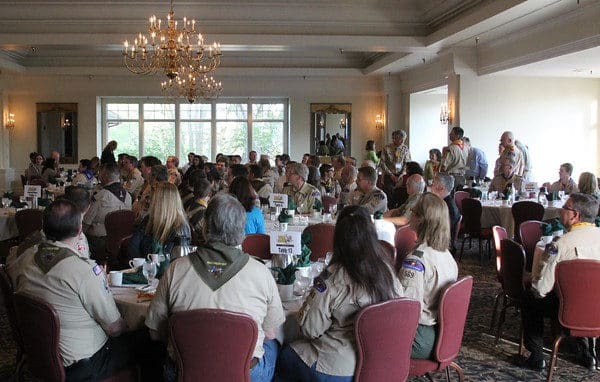 Make plans now to attend our District Recognition Dinner on May 2, 2019, at Wayzata Country Club, where we will present this year’s District Award of Merit class, along with our position-specific and Glowing Ember awards. DINNER Reservations are now open! Spouses, family and friends are invited to attend! Nominations for you to recognize your volunteers are now via an online form! All nominations will be due April 15, 2019 at 10:00AM. Please keep your nominations confidential. You (as an individual Scouter) may submit more than one nomination for each position and for the District Award of Merit. Each unit will have the opportunity to select one of their Scouters or parents for the Glowing Ember Award, which recognizes individuals for adding that “extra something” to their unit. The Glowing Ember awards will be presented at the district recognition dinner. The position-specific awards and District Awards of Merit will be selected by the district’s nomination committee from the nominations received. The district is entitled, but not required, to present one Award of Merit for each 25 units, or fraction thereof, this year. Let’s recognize our outstanding Scouters in grand fashion! We hope to see you there.